Modern life is easy. We live comfortably in our cities, sheltered from the forces of nature that, for thousands of years, left us vulnerable, weak, and scared. On the edges of the wilderness, though, we’re not always so safe. There are times when the predators that prowl our forests turn from their usual prey toward people—and those people have been forced to fight tooth to nail to survive. In March 1911, a Russian wedding turned into a massacre. A total of 120 people had gathered in the village of Obstipoff for the ceremony. When the service ended, they prepared for the 32-kilometer (20 mi) trip to Tashkend, where the banquet would be served. It was to be a romantic ride, with horse-driven sleighs carrying the party through the snow. But as they grew closer to Tashkend, the horses started to get nervous. The party, too, had the feeling they were being followed. Then they saw what look liked a black cloud billowing over a hill. As it came closer, they realized what it was: hundreds of frenzied wolves charging straight at them. Every man, woman and child in the sleighs lingering behind were devoured. The ones at the front pushed forward, but one by one, the wolves overtook them. Soon, only the bridal sleigh was left, with the bride, the groom, and two other men onboard. Their only hope, the two men said, was to throw the bride to the wolves. Her newlywed husband was appalled. He tried to protect her, but this only won him the right to join her. Both bride and groom were cast to the animals. Together, on their first day as man and wife, they were devoured alive. The men made it into town but were forced to live with what they’d done for the rest of their days. 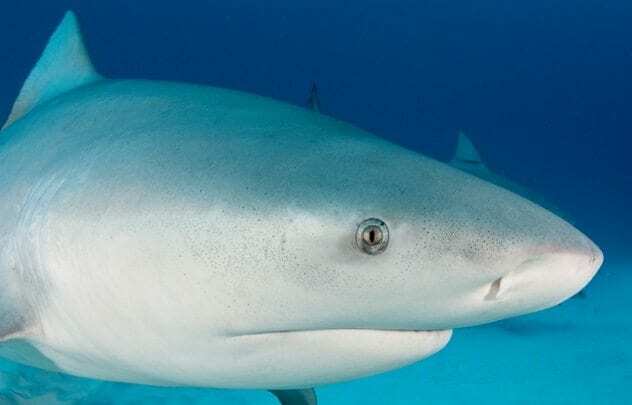 Eight-year-old Jessie Arbogast was playing on the shores of Florida’s Santa Rosa Island with his family in 2001 when a bull shark attacked. His was in the shallow water with his cousin while their parents lounged on the beach—until they heard Jessie scream. His uncle, Vance Flosenzier, rushed into the water. He grabbed the shark and pulled it off his nephew. It let go, but Jessie’s arm came with it, lodged in the shark’s throat. Vance dragged the 91-kilogram (200 lb) shark by the tail onto an embankment. There, two park rangers rushed over to help. 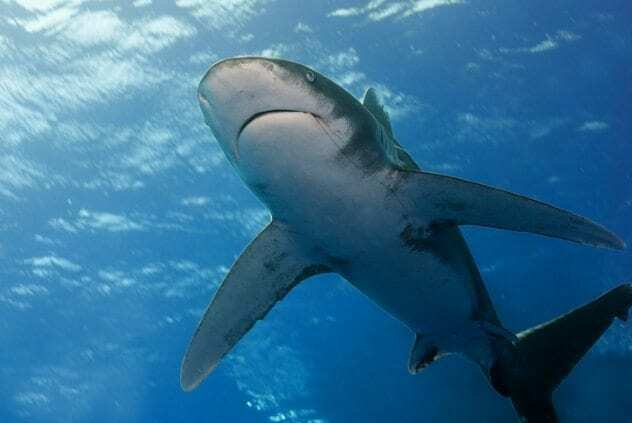 They shot the shark four times in the head and pried open its mouth. Then, with nothing but a towel and a set of tweezers, the men pulled Jessie’s severed arm out of the shark’s mouth. Vance used towels to staunch Jessie’s bleeding, and they rushed him to the hospital. The boy had lost most of his blood, and he suffered permanent brain damage from the attack. Thanks to his uncle, though, his arm was reattached. Ben Cochrane was working as a trapper in Manitoba in 1922. He was alone by a river when he saw the wolves approach. They were massive timber wolves, coming from all sides. He had no hope of escape. The only chance Cochrane had was his rifle and the few bullets he carried with him. He fired at the wolves, but doing so failed to scare them away. So he fired again and again, killing seven of them before his last bullet was spent. Cochrane didn’t stop there. As the wolves pounced, he turned the gun around and beat them with the rifle stock, pounding against their heads. He managed to kill four before he’d smashed his weapon into bits against their skulls. At last, the wolves overpowered him. They tore his body to shreds. 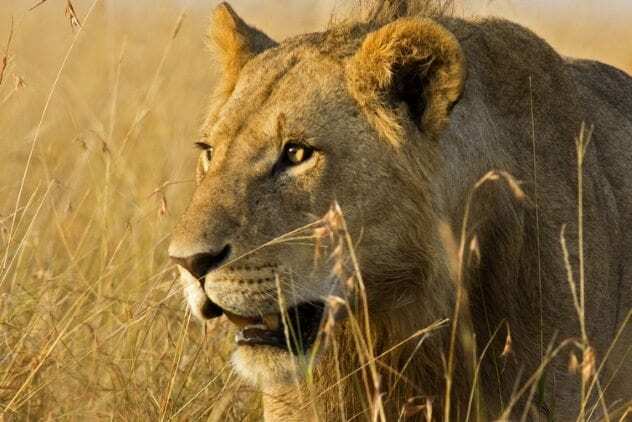 For two years, the homes near the Rufiji River district in Tanzania were ravaged by a man-eating lion. They dubbed him Osama, named for the infamous terrorist. The lion ended at least 35 lives. Osama rarely attacked in the open. Instead, he burst through the mud walls of homes or crawled through their thatched roofs. He was would seize hapless victims between his jaws and drag them outside to be devoured. In Tanzania, this was a part of life. Around 200 people were killed by animals each year, and Osama wasn’t the first lion to attack. It was believed that he had been taught to do so by his mother, who had preyed on the townsfolk before him. No single lion, though, matched Osama’s body count. Finally, in 2004, game scouts hunted the lion and killed him. His image adorned posters around the town. Osama had become a symbol of the dangers that surrounded their homes. After the fact, it was determined that Osama had a cracked molar with a large abscess behind it. The toothache may have motivated him to choose tender-bodied humans as prey. In 1951, Ed McLean was 62 years old and lived alone in a cabin 10 kilometers (6 mi) away from the nearest human life. One day, he was out chopping wood for his stove and saw a cougar watching him. He hurried inside. 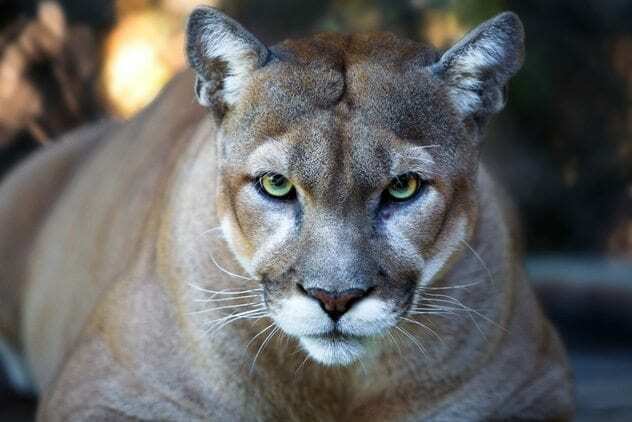 That night, he looked out the window and saw that the cougar was still there, watching. McLean thought it might be attracted to the light, so he turned his lantern off. The second the light went out, the cougar attacked. It burst through the window, locked its jaws onto McLean’s elbow, and knocked him to the floor. McLean managed to get on top of the animal and dragged it toward the kitchen table. The knife resting on the table was his only chance. His mauled right arm was useless, so he grabbed it with his left and jammed it into the cougar’s throat. He kept pushing until it stopped struggling. McLean rushed out into the cold Canadian winter, wearing nothing but his underwear. He made his way to a rowboat and spent two hours paddling to the nearest human life. When he got to the door of a cabin, McLean called for help, but no one was there. He passed out on the floor. He lay there for eight hours, unconscious and dying. Then, at last, someone found him, and Ed McLean survived. 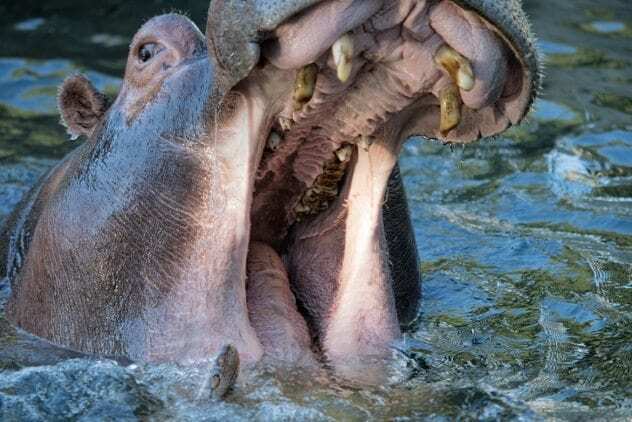 Paul Templar was working as a river guide, taking tourists down the Zambezi River near Victoria Falls, when the hippo attacked. It emerged under another guide’s boat, flinging the man, named Evans, into the water. Templar yelled to his group to get to the safety of a nearby cluster of rocks while he paddled toward Evans. He managed to grab hold of his friend’s hand—and he then felt a sudden darkness and slime all around him. He was trapped in the hippo’s mouth. The hippo crushed him with its teeth. It threw him in the air, caught him, and shook him like a dog with a chew toy. Then it dragged him down to the bottom of the river to drown him. Templar watched as his blood rose up out of his body. At last, the hippo lurched up and spat him out. Another guide pulled him onto his kayak and paddled him to safety. By then, though, there were 40 puncture wounds on his body, and his left arm was crushed to a pulp. It was only by luck that a medical team was close enough to save his life. Evans didn’t make it. His body was found two days later, drifted down the river. Verkhoyansk is a Siberian town on the Arctic Circle. 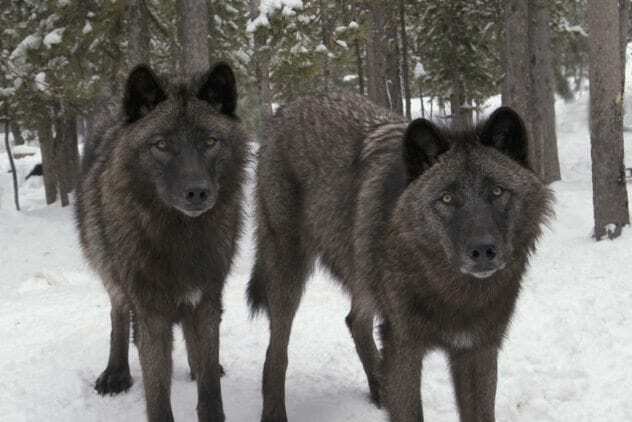 There are only 1,311 people there in all; they’re outnumbered by the 3,000 wolves in the wilderness around them. 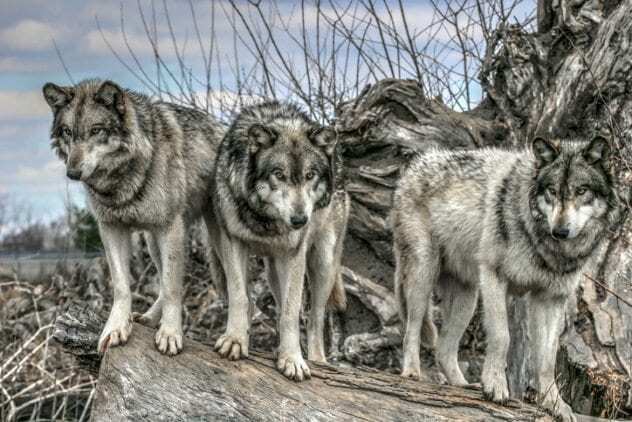 When a pack of 400 wolves surrounded the town, they were in trouble. Within four days, 30 horses had been killed by the wolves. People were afraid to step out, and the governor called a state of emergency. Verkhoyansk fought back. Wolf-hunting season was open like never before. The governor set a bounty of £210 for every wolf pelt claimed and promised a six-figure reward for whoever slaughtered the most of them. Teams of hunters patrolled the town on snowmobiles. Others went up in helicopters and gunned the wolves down from above. 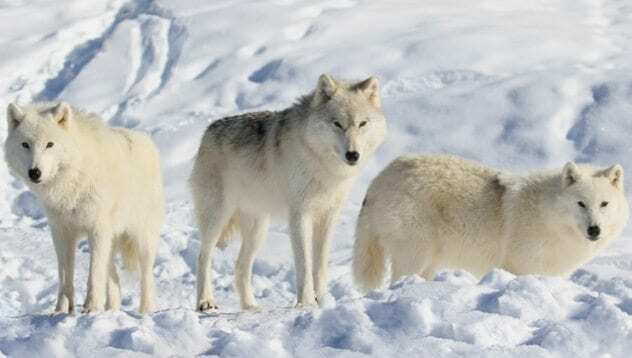 By the end, the wolves had killed 313 horses, but the hunters had taken out 700 wolves. They would not be seen as easy prey again. 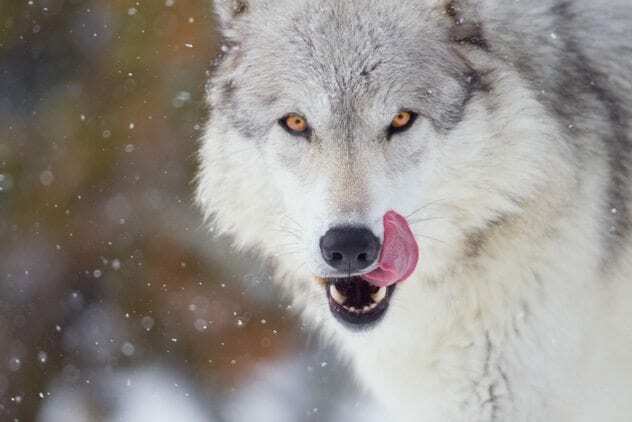 In winter 1450, the wolves near Paris were starving. The humans had pushed the limits of hunting in the forests, and the wolves struggled to find food outside. So, instead, they moved their hunts inside the city walls. The walls were still damaged from the Hundred Years’ War, and the wolves were able to slip through. At first, they raided livestock, but they soon became bolder. A pack led by a red wolf with a bobbed tail went into the city and attacked. They devoured 40 people, targeting women and children. When the wolves came back, the people were ready. A mob chased them until they were at the front of the Cathedral of Notre Dame. There, the people gathered up stones and threw them, stoning the animals to death. 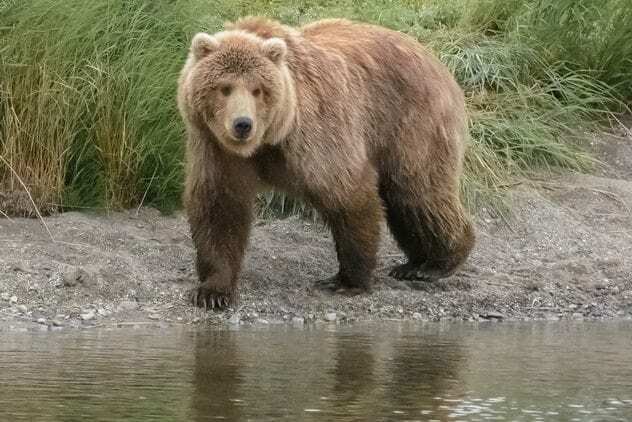 One winter morning in 2007, she went to the river to gather water, unaware that a grizzly bear was waiting for her. It was hiding in the river, and when approached, it leaped out and snatched her. The bear rolled her onto her back and bit into her head. Aikens went still and submissive. “Any movement is a sign of encouragement,” she later explained. “You accept what’s happening and say, ‘You’re the big guy.’ ” When the bear let her go, she went into the camp and patched herself up. Her wounds were serious. “I had to sew my own head together,” she said. Aikens, though, didn’t let it go. She went back out with a gun and shot the bear dead. When the bear was down, she finally felt how much pain she was in. The bear had dislocated her hips, and she’d been moving on adrenaline alone. She collapsed, unable to move. In time, a pilot spotted her and saved her, but for ten days, she lay there, alone with the body of the bear she’d beaten. On July 28, 1945, the USS Indianapolis delivered a cargo that would change the world: the components for the first atomic bomb to be dropped on Japan. Their shipment sent safely, the crew set course for Leyte Gulf, preparing to join the invasion of Japan. They never made it. On the way, the Indianapolis was attacked by a Japanese submarine. The torpedoes ignited a tank of aviation fuel, setting off a chain reaction that ripped the ship in two. The survivors in the water weren’t safe yet. The blood of the dead drew in sharks. At first, they preyed upon the dead, but in time, they turned to the living. The wounded were sent off on their own to keep their leaking wounds from drawing the sharks to the healthy. For days, the men waited on the lifeboats. Some died from heat or thirst and fell into the water, where the sharks were waiting. Some victims dragged their comrades with them as the sharks pulled their next meal down underwater. It took four days of being slowly picked off by sharks before a plane spotted the men. Of the 1,196 who were on the ship, only 317 remained.